For all of you who are too lazy (like I was) to create a blind target pool and waste all those envelopes and then later decide you didn't want a specific target anymore and then had to tear all the envelopes open to find the one you no longer wanted and then put them all back in new envelopes, this thread is for you! A few years ago I created an excel spreadsheet to generate random TRNs and randomly match them with a single cue selected from a pool of cues, NOT photos! I am posting that spreadsheet so that others may be able to gain operational experience. I have selected 57 cues as a base set. Hopefully they will provide a good starting point for you to add more or remove a few that you do/don't like. Please try to stay at or above 50 to minimize your AOL drive of guessing the targets. You should get frustrated doing that and stop soon enough. Active Pool: where all the cues you wish to select from are stored in column B. Reserve Pool: where you place cues you do not want in your active pool for later use. 2. 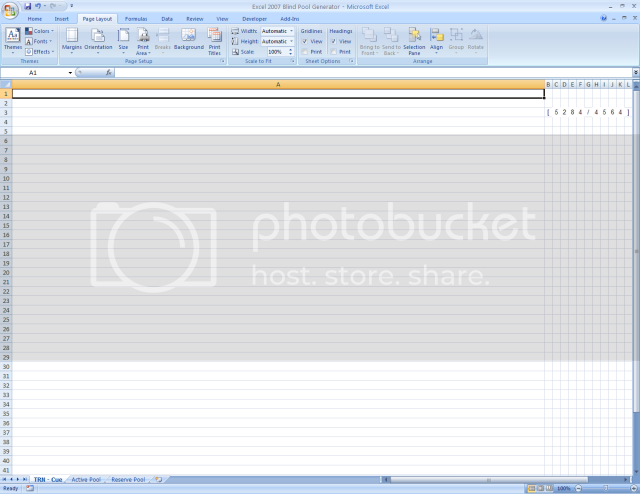 Drag the width of Column A to the right until only Column A through Column L are visible on the screen of your computer. 3. Click on Cell A1 and using the arrow keys scroll over to Cell M1 which should adjust the screen displayed cells to show the TRN and Cue. 7. Scroll back to Cell A1 so that the cue is not visible like below. 1. 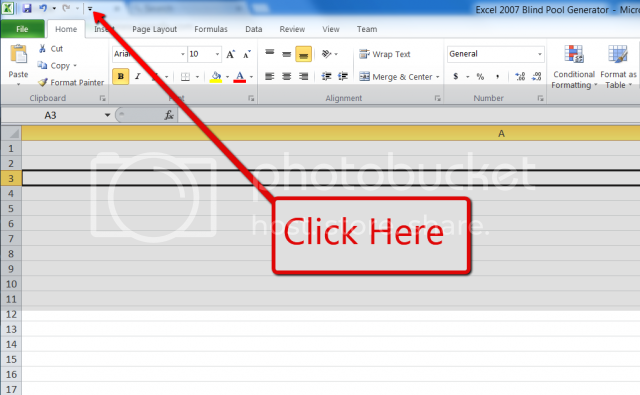 Select a cell on the cue worksheet, say A10, and press space and then hit enter (F4 doesn't seem to always work). 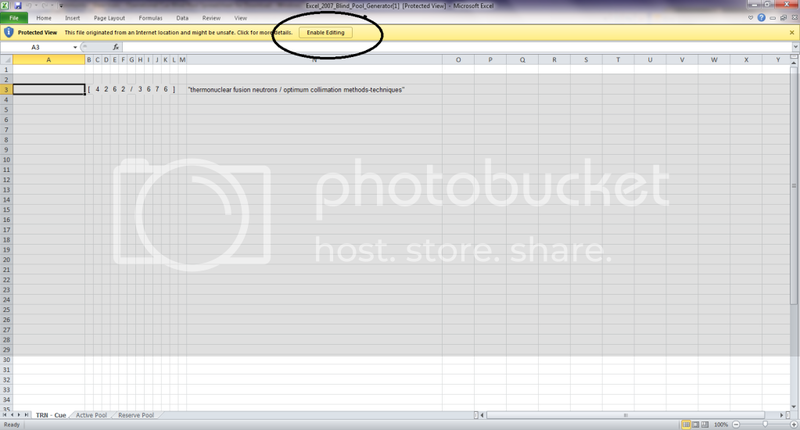 A TRN is then generated and a cue from your active list is selected. 2. Press print and the TRN and cue is printed (obviously don't look at the printed sheet. 3. Write the TRN displayed on the screen onto a blank sheet of paper and go run your session. When you have finished, you can go back to the printed sheet to get your feedback. Note: your cues on the active worksheet must be consecutive with no blank cells in between as the Active Pool worksheet shows. If you don't want to view a particular target, move it from the active pool to the reserve pool and then move the remaining cues up so they all form a consecutive list again. Enjoy. Last edited by kocmodpom on Wed Apr 30, 2014 6:51 pm, edited 14 times in total. Spreadsheet has been updated and better instructions added by request. Thank you April for that helpful info! I think that will solve the problem that some people were having. I love this spreadsheet. Thank you for puting this together for us Kocmodpom. 1) There is a TRN on row 48. I'm guessing we can ignore/delete that. and forth or if I'm missing something. BTW-I'm using Excel 2010. Thank you, I am glad that you find it useful. So long as you set it up so that only the TRN is visible and the cue is not visible is all you need when you hit print. That way you don't have to look at the printed sheet to get the TRN. Yes, you can ignore the extra TRN on row 48, I put it there as a check to ensure the print area is set up properly. If it isn't set up right you will end up printing more than one sheet of paper. 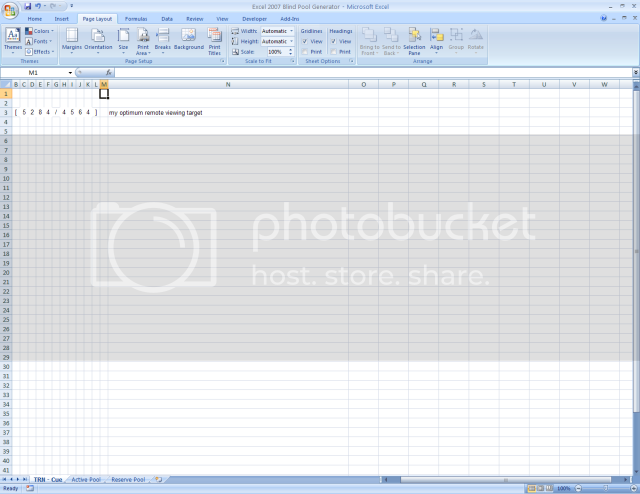 Apache open office is awesome for anybody who doesn't have microsoft excell 2007. Kosmodrome, the google doc webpage is not loading. I don't know if there's a problem with the document or if it's my browser. That means it is working properly. It is intentionally set to not open a webpage, only to download the xlsx file. Works fine in Chrome. Downloading... thanks for the great instructions! Kocmodpom, thank you for putting this together and making it available to all. Is there a way to put photo targets in there? Thank you for your effort in putting this sweet method together, and then sharing it. It has made my session selections effortless. 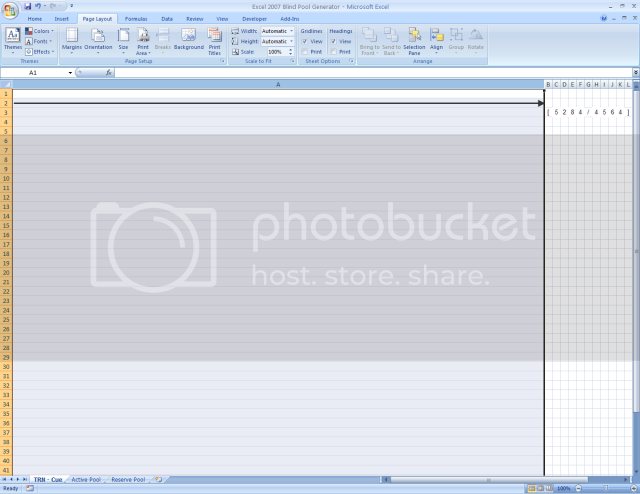 I have been taking a round about way to add my photo's to the spreadsheet. I can not claim this method, for I gleaned it from one of the pro's here at the community. I also use this method for follow up movements to a former session or just individual aspects of their S.T. 's, for both of which I would prefer to run blind; moreover, to have the spreadsheet randomly spit them out. If I am working from an S.T., I would put the TRN [1234/5678] in the margin and point to the target, or I believe that I could just label the target with the TRN's [1234/5678] directly over it. In my 1x1 training with Ed, he recommend no longer using the word "target" for a cue, as there are some technical problems that might arise. Your mileage may vary. Your TRM should have the photo and original TRN printed out on it. 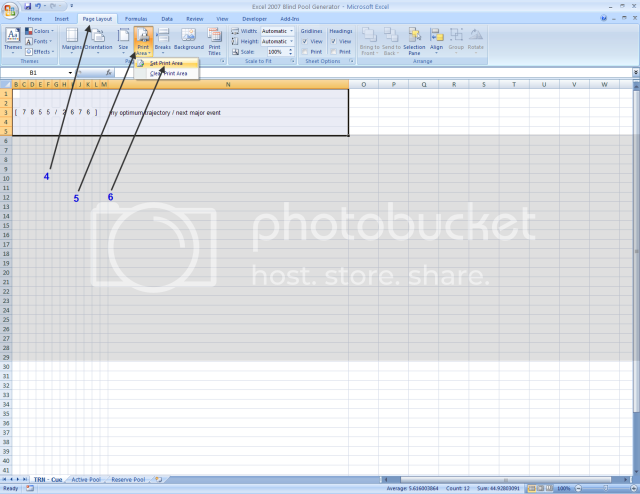 The first part is the randomized TRN from excel. The second part is the TRN associated with the photo. 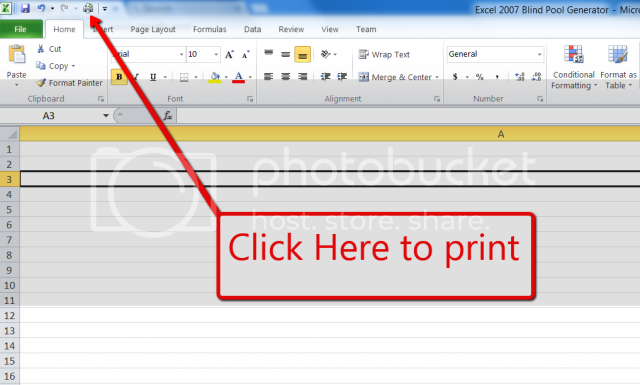 If you want [x] to be specified, simply draw a line to the TRN on the photo print out (TRM). I have had no such issues in using the word "Target" when setting up target reference material. Specifically, it has worked for targeting a singular word in text (see the thread concerning "hell" or the "Bloop" target in the DVDs), or targeting a portion of a drawing from either an analytical sketch or site template. In these instances, the word "Target" acts as nothing more than a placeholder, such as using quotes to indicate a topical search. There are probably extenuating circumstances/situations where you wouldn't want to use it outside of these particular cases. 1.- You can add a CUE to a preliminary Pool, which can be edited at any time. 2.- You can Generate a random TRN that will be stored along the CUE as a TRM. Every TRN is random and non-repeated. 3.- Each new TRN withdraws a CUE from the Pool. 4.- You can check the cue with the TRN. Sometimes I see RV as Steganography, where the Matrix codes the information it is giving us in a milliard wonderful ways, reminding us that we are just part of it, and rendering one and infinity as two properties of the same supreme existence. First, I would advise against downloading anything that requires macros-enabled from an unknown source. Second, if you truly have a photographic memory as you suggest, then automatically removing a cue from the pool once you have run it would be silly. It wouldn't take long for you to easily "remember" what cues were left. I never remove a cue from my pool unless it has come up a few times, but when I do, I prefer Dos Equis. My apologies kocmodpom, I can share the code so anyone can check it and add it later to a file. On the other subject that is why the general pool is in a separate sheet. I added the editing option for it in case anyone wanted to check it. In the end I just wanted to share something that is being useful, so I hope I did not offend anyone. I found the spreadsheet from kocmodpom very useful. I use it quite often to practice. If not send me a PM please. A - When "Get New TRN" is pressed a random non repeated TRN is assigned to a random selected CUE from the pool and stored in a TRM Worksheet. The TRN is displayed alone. B - When you want to check the CUE, you write the TRN and press CHECK. C - You can insert new CUEs to the pool without checking the pool itself. After you insert a CUE the pool is random sorted. D - You can set the recurrence of the CUE in the pool, so it can stay there, for example in the case of a Topical Search, 6 times (has to be at least 1). E - You can know how many CUEs are available in your pool, and it turns red when it is depleted (only applies to individual CUES, not taking into account their recurrence). F - The Pool Worksheet is hidden now. Now, for the problems with the Macros, I can provide the excel file without macros and a txt file with the code for checking, and if trusted it only has to be inserted in a new vba module (Alt + F11). This has been useful to me so I want to share it. I humbly ask for your comments since I created this file using yours as a starting point. You must be using something other than Office 2007 right? Yes office starter 2010 that came with my laptop, you can't print without seeing a preview. No biggie I can cover the area with my hand or paper when printing. 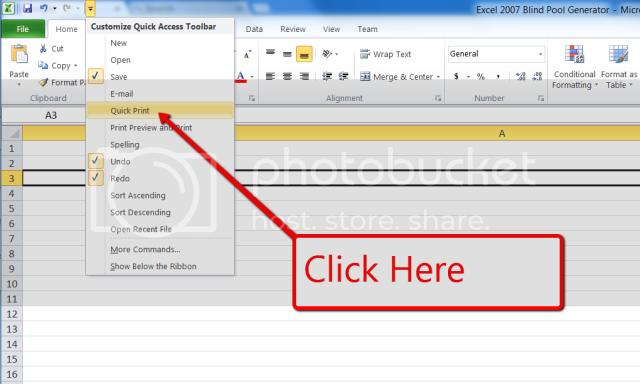 To add the "Quick Print" shortcut to the "Quick Access Toolbar"